I had added three Azores Bellflowers several weeks ago, and hadn’t given them special care, except for infrequent watering. They have settled in nicely on their own, and begun decorating that bed with their attractive flowers. Their botanical name is Azorina vidalii (previously Campanula vidalii) and they were discovered by a naval officer, Captain Vidal, on The Island of the Flowers, in the Archipelago of the Azores. To learn more about this or any other plant that piques your interest, a good place to look is the online encyclopedia, Wikipedia. Just browse to the website and enter the botanical name of the plant. With rare exceptions, Wikipedia quickly and easily provides detailed information on garden-worthy plants. It’s even worth trying when you have only a plant’s common name or cultivar name. Wikipedia is just one example of the flood of gardening information that exists on the Internet. Another free online resource for gardeners is Pinterest, which is a vast collection of photographs that individuals and businesses have shared. Called a “visual discovery tool,” Pinterest has images in many categories, and it is searchable by keywords. To use this tool, browse to the website and search for what interests you at the moment. For example, try “gardening” or “garden steps” or “garden ponds,” just to see what turns up. YouTube offers many brief “how to” video recordings on garden topics, e.g. planting, pruning, irrigation and others. Visit the website and search for your current interest. For example, a friend who read my column on summer pruning of apple trees asked about pruning plum trees. A quick search of YouTube for “summer pruning of fruit trees” yielded several different video demonstrations of pruning plums, apriums, and others. Recently, I discovered another resource: ISSUU, an online collection of magazines on many subjects. The collection features some popular selections, but is comprised mostly of relatively esoteric and exotic periodicals. Browse to the website and search for “gardening” or “gardens” to release a flood torrent of mostly unfamiliar but typically well-done publications that relate to the search term. The entries are listed in random order, some are outdated (but still interesting), and a few are mail order catalogs. ISSUU offers ample reading material for the gardener who is tuckered out, rained out or looking out for inspiration. Together, ISSUU, Pinterest, YouTube and Wikipedia offer free floods of factual information for avid gardeners who have access to an Internet-connected computer. Invest a few minutes to explore these online resources, and use them when you need answers to gardening questions, or fresh ideas for your gardening adventures. There are of course a very large number of additional resources for gardeners on the Internet. A little time spent in exploring Cyndi’s collection of website links will help to discover seemingly unlimited information on all aspects of gardening. More and more people are using the broadband Internet, and find it useful for a variety of reasons. People who do not yet do so often lack understanding of the benefits of broadband access, or need to develop digital literacy. Today’s column provides a glimpse of the Internet’s value for avid gardeners. The Internet also provides access to free education in digital literacy, through a government-sponsored website, Digital Literacy.gov, which offers self-tests and tutorials. To join the Digital Age, visit the website and get started. When finished with that training, click on “Basic Computer Quiz—Part I” to see how much you have learned. Congratulations! You have broken the ice! This Digital Literacy website includes many more tutorials to help you become a Digital Information Gardener (DIG). 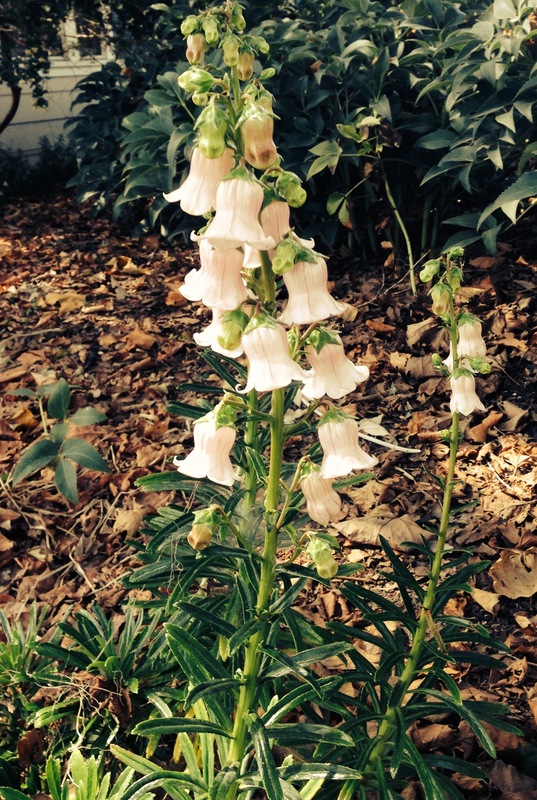 This entry was posted in Essays 2014, Summer Quarter and tagged Digital Resources, Garden Images, Garden Periodicals, Garden Videos, Garden Websites, Internet by tomkarwin. Bookmark the permalink.